Although Dominick Cruz is the defending WEC bantamweight champion and has already hung a lopsided unanimous decision victory over Joseph Benavidez, the challenger could be the card’s highest paid athlete if he’s able to leave Las Vegas with his first major title. 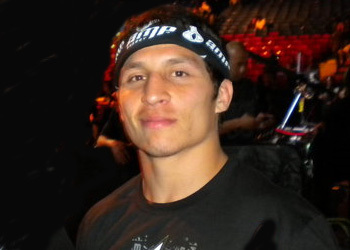 Benavidez will pocket a cool $17,500 for simply stepping into the cage tonight inside The Pearl at The Palms Casino Resort and another $17,500 if he can pull off the upset. Cruz, on the other hand, will earn $11K to show and can double that if he’s able to retain his strap at WEC 50. Additionally, they do not contain money paid by sponsors or any bonuses from the WEC. These royalties can include pay-per-view commissions, Fight Night bonuses, secret somethin’ somethin’ handshakes, etc., which can oftentimes represent a substantial portion of a fighter’s total income.